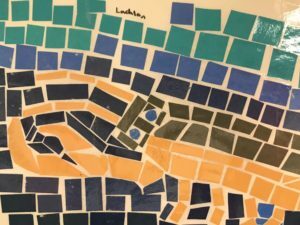 The Lyman Allyn Art Museum is proud to present its annual exhibition by the students of the Nathan Hale Arts Magnet School in Glassenberg Gallery. Students, parents, teachers, families, and art enthusiasts of all ages are invited to explore artwork created by students, grades K-5. Two-and three-dimensional artworks, in a variety of media, are included in the exhibit. A visual delight, this exhibit showcases student talent, creativity, and critical thinking. Come see the great artwork by the talented Nathan Hale students! The Lyman Allyn is free to New London residents. 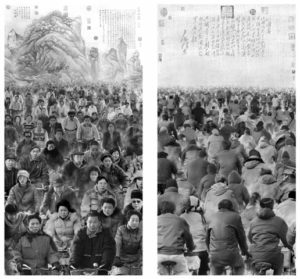 Zhang Hongtu, The Bikers, Computer-generated image printed on canvas, 104×107 inches, 2001. This group exhibition presents a rethinking of Chinese landscape or shanshui art through converging traditional Chinese ink painting and contemporary experimental art. Eleven prominent contemporary Chinese artists offer eclectic approaches to inheriting the rich Chinese landscape art tradition yet also disrupting its boundaries. 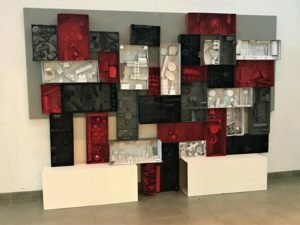 The exhibited works come in different styles and media including ink painting, oil painting, photography, performance, and video art. 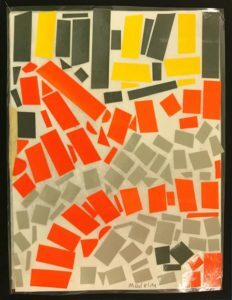 In combination, the selected artists and artworks shed further light on a wide range of themes: landscape traditions in the East and West, reinvented language and abstracted nature, suppressed histories and voices, environmental crisis, dislocated cultural identities, and global contemporary art and politics. Zhang Hongtu, Shitao – Van Gogh M, oil on canvas, 32×78 inches, 2008.